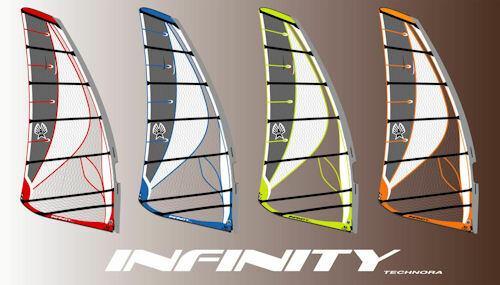 The 2010 sails have a lighter feel than the 2009 sails. This is noticeable while wave riding, jibing and basic sail handling. All sail lines utilize our new TriLite sail cloth. It is called TriLite because it consists of film, woven scrim, and X ply. A significant weight savings come from the Trilite`s thinner film; 37.5 microns, compared to 100 micron film used in our Spectra X ply. The woven scrim combined with the X ply provides excellent tear strength. The overall weight of the TriLite is 40% less than our Spectra X ply. We are using a stronger Dacron cover on the battens, which has improved scuff resistance when rigging on asphalt or gravel. Makes rigging faster. After downhauling, just roll up your line and shove it in the mesh pocket. 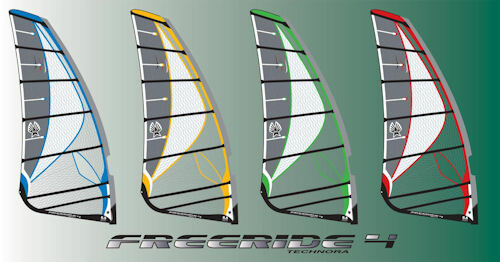 We have added a 9.5 Freeride for super light wind sailing.